Moneycation: Dividend stock bubble: Should you be worried? 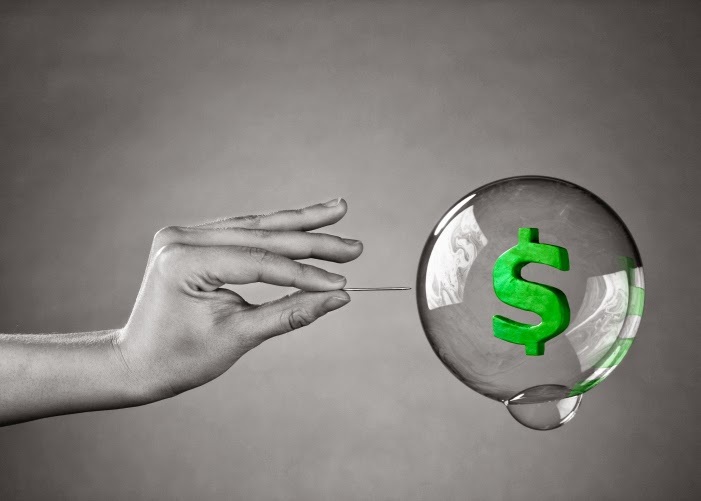 Dividend stock bubble: Should you be worried? The explosion of the tech bubble in the late 1990s, and then the bursting of the housing bubble a decade later, made smart investors leery of any market that was growing so big and so rapidly that it seemed too good to be true. Any market observer knows that the entire stock market is soaring, with some key indices hitting record highs. Of them all, dividend stocks are the juggernaut. According to one expert, dividend stocks are up 226 percent since the market bottomed out in 2009. Although the stock market is booming, dividend stocks are not in a bubble. Although this rapid ascent has sparked recent conversations about a "dividend bubble", many experts say worries are not only premature, but altogether misguided. According to one expert, much of the hysteria is fueled by the improbable and unexplainable ascent of just a few stocks. At the end of 2013, Twitter gained 73 percent in value in just a few days. Tesla, which trades on the Nasdaq, saw a 300 percent gain. Although these gains were historical, unnatural and unexplainable, they were not indicative of a larger bubble. Alexander Green, Chief Investment Strategist for the Oxford Club, argues that the signs of a dangerous bubble simply don't exist. The two telltale signs of a bubble, he argues, super-inflated valuations and unbridled optimism, are not present. Although the stock market is at a record high, valuations - one of the two ingredients for a bubble - are not. In fact, they're nothing compared to the heady days of the 1990s when then tech-heavy Nasdaq rose 417 percent. The second key ingredient - irrational optimism - is also not a factor. Far from the "can't lose" rush to gobble up tech stocks in the '90s or real estate stocks in the 2000s, Green argues, today's gains show a mass return to the market by regular investors. 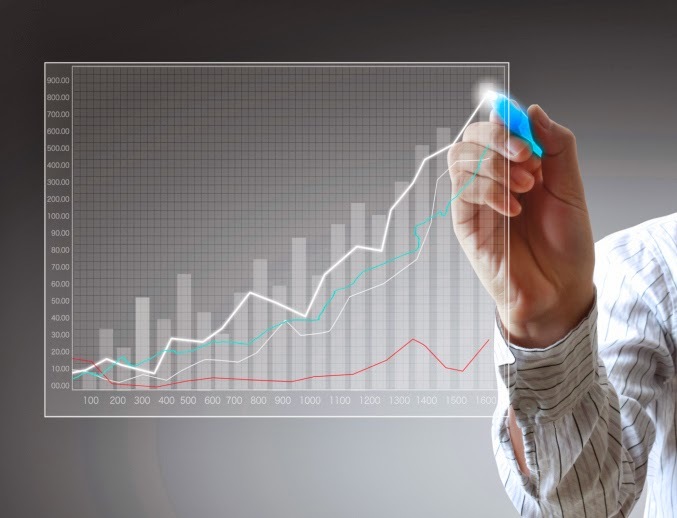 The overwhelming majority of those, however, are on gradual climbs in mutual funds. Although everyday investors are optimistic enough to take risks in the market again, those risks are generally measured and prudent. Although a lack of caution led to the two worst bubbles in recent history, first the tech flop of the 1990s and then the housing crash 10 years later, an abundance of caution is probably not necessary in the current climate. Although optimism should be tempered with healthy skepticism, the current boom seems to be fueled by a genuine rise in investor confidence that is built on economic recovery, not wild speculation. Be cautious, but not afraid. About the author: AndrewLisa is a freelance writer living in Los Angeles. He writes about personal finance and covers myths about auto loans with bad credit.